Very pretty card Narelle. I love the way you’ve matted behind the ornament, your colour combination and that beautiful bow. 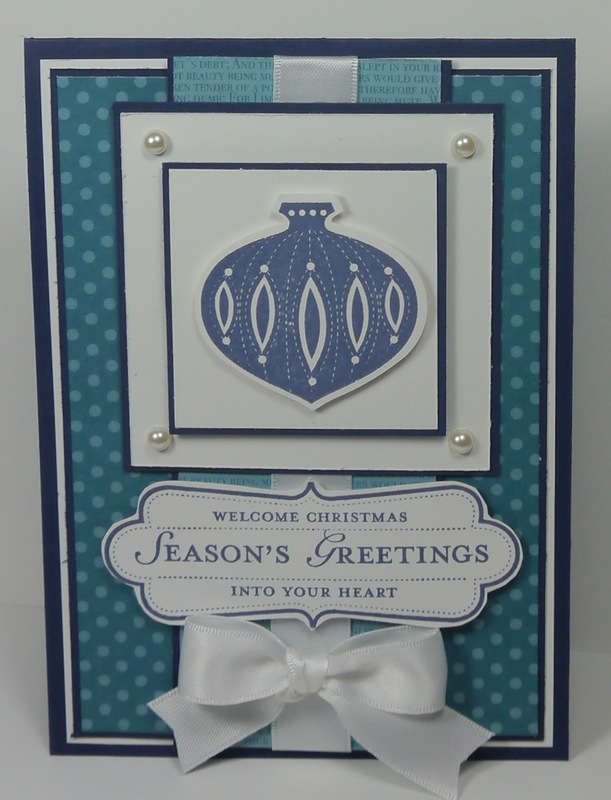 Beautiful combination of colours and I love the contempo Christmas set … Must dig mine out again soon. Oh, this is beautiful, Narelle. I love the different blues you’ve used, and the gorgeous satin bow is perfect! Beautiful card Narelle, love the colours you used, how awesome! I never would have put those together! Thanks for playing with us at Merry Mondays! Love this Narelle! I am glad you got started on your cards….I challenged myself a couple years ago to do a card a week, and once you get used to it, it helps come December! This is a beauty! 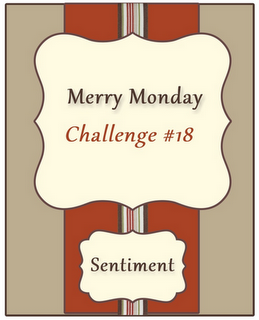 Thanks for playing with the Merry Monday challenge this week and sharing your creation with us! Beautiful card, I love the colours and papers you used.